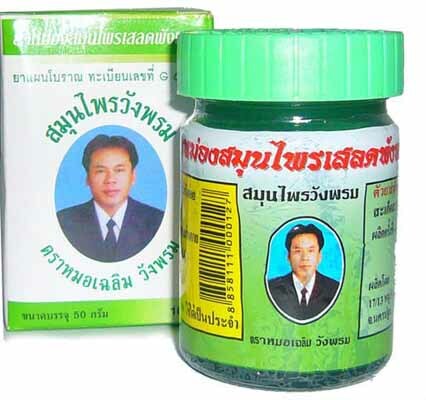 In 2004, Wang Prom Herb, zingiber balm, was selected to be the best OTOP of Thailand - One Tumbon One Product - or OPC OTOP of Product Champion of Nakhon Pathom Province and Central part. It was awarded five stars from the district level to Provincial level in the group of herbal supplements. Those prizes can guarantee the quality and efficiency of Wang Prom Herb products that are widely acceptable in the community. The balm is used for Itches, Insect bites, Muscle aches and sprains and Inhaler for Motion sickness.